As the Turing Phone nears its launch the device’s makers reveal their plans to push forward smartphone capabilities and battery life. The Turing Phone can wirelessly transfer a DVD-quality movie in just over half a minute and has secure messaging that would take years to crack. But the most impressive features of this sleek and sturdy phone are just around the corner says Turing Robotics Industries CEO Syl Chao. The first of these additions will land next year, when Turing Phones will be upgraded from the Android 5.1 operating system (OS) to the Turing OS. In theory, this new OS will make it more difficult for the phone to run out of storage space. Instead of just saving files onto their own device, users will be able to store content on Turing Phones belonging to other customers – with each handset sharing a portion of their storage. Chao calls this approach ‘wind computing’. When files are distributed between phones in this way, the data will be tagged so it remains accessible to the owner and no-one else. This tagging system will also clearly link data to its owner – which Chao said should address issues of liability for what is stored on each device. Underpinning this distributed storage is the security provided by Turing Robotics Industries (TRI), which started out as a company researching decentralised cryptographic keys. In the five years since TRI was established, the firm developed the Identity Based Authentication Infrastructure that will provide the foundation for the system. Plenty of cloud services today already offer virtually unlimited storage to anyone with internet connectivity but Chao claims that wind storage bypasses some of these services’ limitations. Looking further into the future, the company is investigating the possibility of splitting computer processing jobs between devices. Turing Phone owners will also be offered separate cloud-based storage, as part of a suite of free services that also includes email, SMS, IM and VOIP calls. The other upgrade that Chao has planned is to the phone’s battery. Chao says the company is looking at a number of different energy storage technologies, including fuel cell, that could greatly boost the device’s running time. Although Chao hinted the new battery could be ready for the launch of the first Turing Phone in December, he was unable to say for sure when they would switch to this new power source. It’s also worth bearing in mind that no other mainstream smartphone manufacturer has managed to make a battery with this sort of capacity and that other attempts to use fuel cells to power smartphones have been shown to have major drawbacks. The Turing Phone made headlines for its security when it was announced earlier this year and for good reason. The encryption that protects the phone’s communications relies on a private key that is kept within the device’s hardware. Even though Android is an OS known for being targeted by a large volume of malware, the communications encrypted by the private key are highly resistant to being breached, said Chao. “A hacker could root the device but they can’t get the private key out. It’s kept completely separate in the hardware,” he said, adding that while no device was 100 percent secure – extracting that private key would take a lot of time and effort. Once the phone is updated to the full Turing OS – planned within six months of launch – it will be far more secure while still retaining compatibility with Android applications, according to Chao. Safeguarding privacy doesn’t sell phones though, in Chao’s view, which is why he sees the USP of the phone as being its clean design. 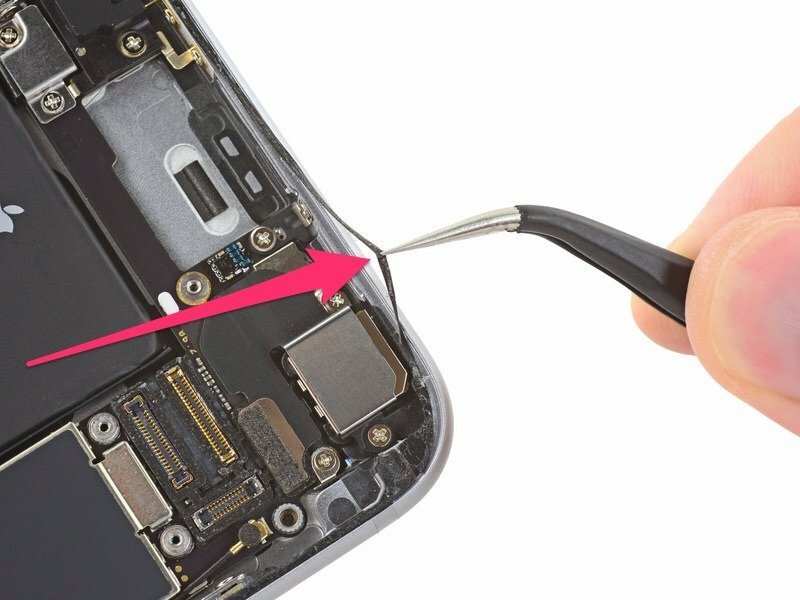 The phone has a frame made of “liquidmorphium” – an amorphous alloy of zirconium, copper, aluminum, nickel and silver that’s supposedly stronger than steel, but cheaper and more efficient to produce than titanium. It lends the handset a robust feel while retaining the look of polished Chrome. Chao is so confident of its durability he even encourages testers to try their hardest to bend the device. Meanwhile the phone’s rear is made out of a polycarbonate, patterned with crisp geometric shapes or with a scaled texture depending on the model. Even though the phone ships with an Android OS under the hood, the phone will run the custom Turing Phone interface on top. The Turing Æmæth UI shares the minimalist stylings of the case – being split into tiled menus that show apps, messages and system notifications. The UI should let users peep at updates from inside apps without opening them, as well as tapping them to launch. Chao plans for the UI to be customisable in the final version, with users able to shrink elements to suit them. The phone should also launch with its own social network, with user updates displayed on the home page. While there is much that is premium about the phone, its technical specs aren’t at the cutting edge, with an 801 Qualcomm Snapdragon chipset – the same used by the HTC One in 2014 – and a 1920×1080 resolution screen. This hardware will be bumped up to a Snapdragon 820 and at least a 2K screen when the next version of the Turing Phone is released in 2016, he said. There are other caveats: while the WiGig data standard will allow the phone to share 3.2GB of data in no more than 25 seconds, the feature will only be available via a case provided with the Dark Wyvern special edition, priced from $779. You’ll also need this case if you want a headphone socket – otherwise you can use a Bluetooth-enabled set – and USB port. But while the Turing Phone may be more expensive than some similarly specced competitors, Chao believes the overall package is worth it. 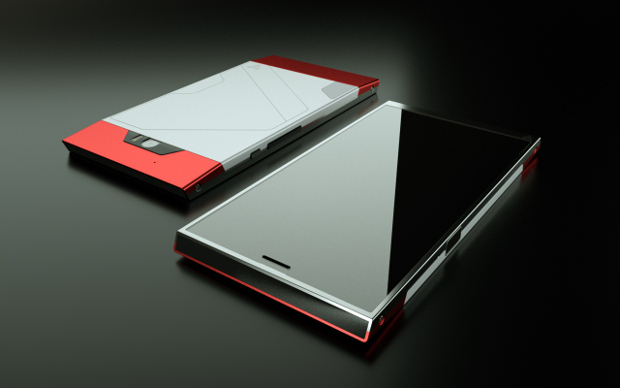 The Turing Phone is available to preorder for $610 – $870 depending on storage. If a device does not declare itself as a low-memory device — with about 512MB of RAM — and supports a secure lock screen, it must also support full-disk encryption of both the application data and shared storage partitions, the document says. Version 6.0 of Android is rolling out to Nexus devices now, appearing on the brand new Nexus phones very soon, and other recent Android phones over the coming months. 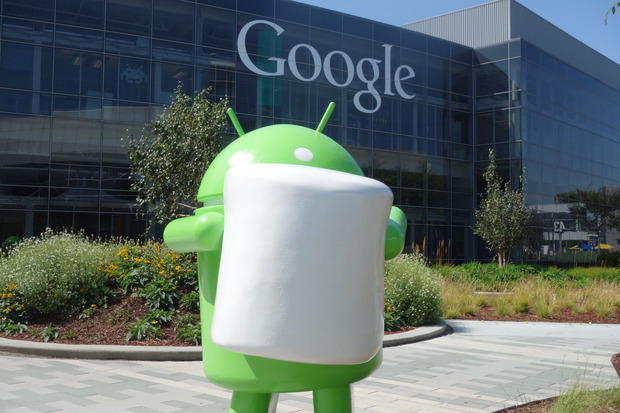 Read on for our impressions of Marshmallow – and the difference it’s going to make in your mobile experience. Unlike Apple, Google has spun its main apps out of Android itself, so much of what you’ll notice as new when you install a new version of the mobile OS is the Google Now launcher and the Settings app. In fact the immediate, on-the-surface changes this time around are so subtle that you might wonder if your Marshmallow upgrade has worked when you first install it. Many of the new features ushered in by Marshmallow are aimed at making life easier for developers, though users should see the benefit as well. Chrome Custom Tabs, for example, which brings Chrome into third-party apps to save developers from having to code their own web viewers, but that should also make for better in-app web browsers for users. The headline Marshmallow feature you’ll want to get playing with straight away is Google Now on Tap. It essentially gives Google’s digital assistant some extra context for its queries, allowing it to scan the whole screen of whatever app you’re in to try and work out what you want to know. So launching Google Now on Tap with a movie prominently displayed on screen brings up links to the Internet Movie Database app (if installed), Wikipedia, YouTube (for trailers) and so on; or if there’s a sports team displayed, you get links to the team’s social media profiles, its official website and even directions to the stadium for the next match. Developers have the choice of whether to grant Google Now this kind of access, so it’s not supported everywhere just yet, and right now it feels more like a new foundation than a feature that’s ready for primetime. It works well, on occasion, but too often it doesn’t pick up the right bit of data, doesn’t provide relevant enough links, or simply isn’t useful enough. The end goal for Google Now on Tap is to be able to answer a text message like “what time’s the film?” in an instant, by knowing who you’re talking to, what movie you’ve previously been discussing, and the times it’s showing at the local theater. That’s an appealing idea but Google still has a ways to go to reach that level of intelligence. We tried out Now on Tap in Chrome, Gmail, Rdio, Hangouts and a few other apps, and it is genuinely useful when a movie or place name pops up and you need quick info about it. The feature is more miss than hit right now though, particularly outside of Google’s apps, so mark this down as one for the future rather than something you’re going to rely on straight away. Google Now is still present and correct in its existing form, of course, and on smartphones the launcher’s app drawer gets a slick-looking facelift, with icons scrolling vertically and the most-used apps at the top — however, this is technically included as part of a Google app update that’s already showing up on Lollipop devices as well as Marshmallow ones. Only the Now on Tap functionality is unique to Marshmallow, at least for now. Doze is Android Marshmallow’s new battery saver technology, which cuts down on background processes and checks for new notifications less often when your device is not in use – if the screen is off and the device is motionless then Doze kicks in (there’s no switch or setting you need to flick manually to activate it). 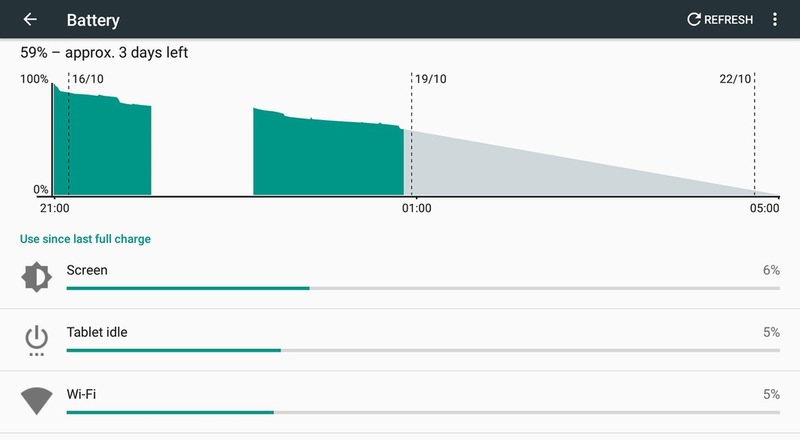 Google has promised big improvements with Doze (the Nexus 9 lasts up to twice as long on a single charge, the company says) and we noticed the difference on a 2013 Nexus 7: the battery level only dropped 2-3 percentage points overnight, whereas previously a handful of nights would be enough to almost completely drain this (admittedly rather old) tablet. The benefits you see will depend on how often your smartphone or tablet is left idle, but we’d bet that Doze is going to make a difference on those devices that are only used occasionally throughout the day or week. For devices that are used more actively and consistently, our testing found battery life seemed to be along similar lines to that in Android Lollipop. The other main user-facing improvement concerns app permissions, which are much more iOS-like: apps ask for access to the camera, microphone, contacts list and so on as soon as they need them, rather than just as they’re about to be installed. The change makes it easier to understand what rights particular apps want, and it also means you can let an app access one part of the system (like the camera) but block it from another (like the contacts list). It’s a welcome and overdue change, one which works well in practice. Even if most users are unlikely to delve into the app permissions list very often, it’s there if it’s needed, and the new system should mean more transparency regarding what apps can and can’t do on the device. Volume control and “silent mode” were something of a mess in Lollipop, and Google has thankfully improved the experience in Marshmallow. Tapping the hardware volume buttons brings up the system, media or alarm volume slider depending on what you’re doing, and with another tap you can show all three on screen at once. Priority Mode remains, but is easier to understand than it was in Android 5.0. A tap on the Do not disturb button in Quick Settings lets you choose among total silence, alarms only and priority only (the last one means selected contacts, events and apps can make a sound). It’s a better approach, but it still needs work – switching in and out of quiet mode is something most of us do every day, and Google seems intent on making it more convoluted than it needs to be. It’s worth mentioning the native support for the faster, superior USB Type-C and fingerprint sensing technology that’s built into Android Marshmallow, though you’ll only see the benefit on new devices rather than upgraded ones. Support for Android Pay is also bundled with Marshmallow, though Google’s new mobile payments system works on NFC-enabled devices with Android 4.4 KitKat and above, so it’s not exclusive to the new software. There are other small tweaks for the better, such as the improved text selection tool that highlights whole words at once so it’s easier to pick out the words and phrases you want (there’s now a floating toolbar for quick access to cut, copy and paste commands as well). A new Direct Share feature brings up the apps and contacts you connect to most often whenever you tap the Share button, meanwhile. On the whole using Android Marshmallow is very much like using Android Lollipop, and this isn’t the kind of major upgrade that’s going to dramatically change how you interact with your smartphone or tablet. As with iOS, it’s the intelligent assistant built into Android that’s most interesting at the moment. With the two mobile OS software juggernauts now so mature and established, the innovation responsibility falls largely on Siri and Google Now, and Now on Tap is another step forward in Google’s mission to know as much about you – and what you’re going to want to know next – as possible. After several days of using Marshmallow, you almost forget it’s there: this feels more like Android 5.2 than 6.0. That’s partly due to apps like Gmail and Google Maps getting updated separately, but partly due to the maturity of Android as a mobile OS. Perhaps from this point on, things like improved battery life, a smarter Google Now and a bunch of smaller tweaks will be big parts of each new edition of the software. Communicate with ease, tame your schedule, and get things done with these great tools. You’re running a million miles an hour, trying to hold down a tight schedule full of tight deadlines on a tight ship. From messages to meetings to managing meddlesome minutiae, these 50 apps can help you work wonders with your otherwise limited time. If you’re like most people, you’ve signed up for at least a handful of email services. CloudMagic (Android, iOS) does an impeccable job of tying popular email offerings together into one powerful, feature-filled app. It’ll handle your corporate mail with ease, along with Gmail, Yahoo, iCloud, and a host of others, and you can save messages to big-name note taking, list making, and CRM services. Instead of relying on a mish-mash of email, instant messaging, text messaging, and phone calls, Slack (Android, iOS, web) does a good job of streamlining things down into a real-time communications tool that can hook into a heaping helping of popular third-party services. You and your team discuss topics in different virtual channels full of updates, images, files, tweets, and links that are open for all to see, which can help keep everyone on the same page. The free offering lets you set up an unlimited number of users, archives 10,000 past messages, and can integrate with up to 10 services (here’s the full services list). Boomerang (web) lets you temporarily clear messages out of your inbox to return at a time and date you specify. It’s a dead-simple way to turn messages into individual reminders. You can also use it to prewrite messages and schedule them to be sent later as well. Want that client to think you’re working hard on their big, important project? Schedule an email to send out at 3:30 a.m., even though you’re writing it at 2 p.m. They’ll think you’re burning the midnight oil, even though you’re really burning a grilled cheese before a Netflix binge. The free version lets you play God with 10 messages each month. Glympse (Android, iOS, Windows Phone) is a simple but powerful way to share your location with people for up to four hours at a time—perfect for keeping your team informed about your whereabouts without having to constantly update them manually. Your invitees get a text message or email with a link they can use to track you, and they don’t need to have the Glympse app installed themselves, which is a big selling point. Use Burner (Android, iOS) to set up a disposable phone number while you’re interviewing candidates or collecting bids on projects—especially those posted on publicly accessible sites. You get a free number to start with, which forwards to your main number but can have its own separate voicemail greeting. You can return calls using your virtual number so you don’t reveal your personal number, and once your project has wrapped up, you can torch your burner number to avoid being inundated with phone calls. Cord (Android, iOS) blends the straightforwardness of text messaging with the expressiveness of phone calls. The app lets you bandy 12-second voice messages back and forth between your colleagues, either individually or in a group. The home screen shows little round bubbles with each of your fellow Cord users’ faces, along with how many messages you have from each. Tap each person to listen to their messages and then hold down to reply. If you work for a large-ish company, chances are you’ve got a fancy Avaya phone on your desk. If you do, you might be able to use the Avaya one-X Mobile (Android, BlackBerry, iOS) app to route calls to and from your smartphone while your clients are none the wiser. You can look up colleagues via your business’s phone directory and deal with your voicemail while on the go as well. Should you find yourself working on project after project, each time with different people, check out GroupMe (Android, iOS, web, Windows Phone). Assuming everyone knows how text-message works (right? right?? ), you’ll be able to quickly cobble together a private chat room where you can meet with coworkers, contractors, vendors, and clients. Once you’ve wrapped up one project, eighty-six the room and start over with your next group. Relieve the glory days of push-to-talk service. Voxer (Android, iOS) turns your phone into a walkie-talkie, letting you and your work buddies instantly bandy intel to and fro. If you’re at an event, for instance, you can add text, photos, and location information for some additional color, and if nobody’s home on the other end, you can leave old-school voice messages for them to listen to later. Privnote (web) helps you send messages electronically without leaving a paper trail. Simply write a note in the site’s Post-It-like interface and you’ll be provided with a unique URL. Send the URL to your recipient via email, text message, or any other method, and once they click the link, they’ll have access to the note, but the link and its message will get killed off for anyone who tries to access it in the future. Load up Sunrise Calendar (Android, iOS, Mac App Store, web). It makes keeping a calendar . . . fun? Maybe not fun, but it definitely makes it not awful. Sunrise plays nicely with Google, iCloud, and Exchange calendars, connecting to your various accounts—Facebook, Twitter, Evernote, LinkedIn, and a host of others—to automatically pull in pertinent info for you. You’ll get birthday reminders, travel updates, weather forecasts, and maps to route you to your next appointment. Adding entries is a snap, too: just type in plain English (“Bike ride tomorrow at noon in Boston”) and the app will parse your meaning. Take a look at UberConference (Android, iOS, web). You can host an unlimited number of conference calls with up to 10 callers at a time, and there’s built-in call recording so you can play the calls back later. Guests can call in the old-fashioned way or connect to the conference via the web or mobile apps, which sport some additional features such as higher-quality audio. And the conference organizer has access to a nice web-based dashboard, with the ability to mute individual guests or text with each one privately. Not too shabby for zero dollars. If you find yourself walking into a meeting with people you’ve never met, give Charlie (iOS, Web) a try. A few minutes before your meeting is supposed to start, the app will surface relevant info about attendees, pulling data in from hundreds of available sources—social apps, news articles, and more. Consider it a system for automated one-pagers that you can use to your advantage. Prezi (Android, iOS, web) helps you create engaging, cloud-synched presentations that you can access from all sorts of devices. Companion mobile apps let you practice your presentations while you’re on your way to your meeting and control your presentations on the big screen once you’re there. You can even stream your presentations to remote attendees who can’t make meetings in person. The free version lets you create publicly viewable presentations, so you make sure you’re not outing any sensitive company info. Quip (Android, iOS) injects a human element into an otherwise boring pasttime. It’s a relatively fully featured document and spreadsheet app that lets you and your cohorts work on things at the same time, tied together by a real-time chat system used to keep in touch alongside your documents. Files can be pulled in from popular cloud storage services and exported to Word, PDF, and Excel formats when they’re finished. Check to see if they can be automated with If (Android, iOS, web). The app works like a digital Rube Goldberg machine, connecting popular online services with one another. Let’s say your boss wants you to add every tweet you send out to a spreadsheet. Bo-ring! Formerly known as IFTTT—which stands for If This, Then That—the app can do that for you automatically so you don’t have to copy and paste tweets all day. And let’s say the same boss wants to get an email from you every time you add a new event to the company calendar. Yep: that can be automated too. It’s great for dealing with old-schoolers who always want to be “kept in the loop” without requiring a whole lot of effort on your part. The tried-and-true CCleaner (Android, Kindle Fire, Mac, PC) scours your computers and mobile devices for excess crud—temporary files, cookies, old apps, and more—to clean out the cobwebs and, in turn, speed things up. Free versions of the app treat you to as-needed cleanups, which are plenty effective; paid versions offer real-time monitoring, automatic updates, lost file recovery, and premium support features. Microsoft’s free OneNote app (Android, iOS, Windows Phone) is a note-taker on steroids that lets you type, handwrite, audio-record, snap photos, and more. Notes are saved and synched across devices, with different formats available—checklists, research, meetings, lectures—based on what you’re looking to do. Forget paper. If you need to whip up a form on the go, Canvas (Android, iOS) is worth a look. The app lets you cobble together custom forms—invoices, expense reports, checklists, work orders, and more—and sports additional features such as signature capturing and cloud synchronization. There are more than 5,000 prebuilt forms for you to finesse as you see fit. Visit Ninite (Windows) for a great click-and-pick selection of popular Windows apps. Whether you’re setting up a new computer or want to update a bunch of your apps to their latest versions, the site will build you a customized one-time installer that packages up the programs you want and installs them all in one fell swoop: No need to go from site to site, sit through download after download, or weather installation after installation. Chances are, you probably haven’t fully tapped into all your phone’s features. Drippler (Android, iOS) provides Android- and Apple-specific versions that run down notable features, recent updates, and provide how-to articles that you can use to really get into the nitty-gritty of that handheld computer that’s always in your pocket. Like most businesses, it’s completely reasonable to think that much of your marketing strategy relies heavily upon popular social networks. Try Postfity (web) to manage your Facebook, Twitter, LinkedIn, and Google Plus accounts. You can blast an update out to multiple accounts at the same time, or use the handy scheduling tool to dole your musings out at predetermined times. The free version lets you connect up to five accounts and schedule up to 10 updates. FireShot (web) is a slick, lightweight screenshot tool that works with just about every browser to quickly grab whatever’s in your browser window. You can save the visible section of the page, the entire page, or a selection of your choosing, all with a single click. Once you’ve got what you need, you can download it as an image file, as a PDF file, or print it out. If you use the same password for everything (don’t do it! ), check out Dashlane (Android, iOS, web). It’s a password manager for mobile devices and desktops that keeps track of all your logins, automatically entering your credentials as you surf. The app will automatically generate new, super-strong passwords for you and can lock itself down if you lose your phone. The free version is limited to one device at a time. Stop trading your email address for free stuff! MailDrop (web) lets you create a onetime address that disappears after you’re done with it—perfect for those quick-hit deals, downloads, and promotions. There’s no signup or passwords involved—by MailDrop’s admission, it should not be used for sensitive email—and you can store up to 10 messages should you need to engage in a bit of back and forth with your recipient. Leave your temporary mailbox untouched for 24 hours, and it’ll vanish forever. With several competing video formats out there, it’s hard to please everyone. Thankfully, Any Video Converter (Mac, Windows) makes it easy to convert a video from one format to another—or several videos from one format to another. Drag your videos into the app, and select from more than 150 possible output formats, all thoughtfully categorized for specific devices, web formats, and offline formats. Then hit the Convert Now button, grab a cup of coffee, and . . . well, that’s about it. You’ve never really had a way with words, and scratching out screeds on a smartphone can be maddening. Try SwiftKey (Android, iOS) as a keyboard replacement. The more you use it, the more it learns about how you type, including the ability to pull data from popular cloud-connected services you use in order to return incredibly personalized predictions. Just type your first word and the app will suggest the next one right above the keyboard. The popular Betternet (Android, iOS, Mac, Windows) service provides a free, unlimited (albeit ad-supported) VPN connection that you can use to sidestep blocked sites and surf anonymously. There’s no signup required, making this one of the easiest—if not the easiest—VPN tools around. There’s no shortage of file-shuttling solutions, but Daemon Sync (Android, iOS, Linux, Mac, PC) is worth a look, thanks to its sheer simplicity. Load the app up on your phone and install the agent on your PC or Mac, and every time your devices are on the same wireless network, your phone’s photos, videos, and other files you specify will seamlessly synch with the computer and get passed along to other mobile devices you have. Slow Internet? Maybe it’s actually slow, or maybe your device is acting up. Rule one of them out with Speedtest (Android, iOS, web). The service will connect you to a nearby test server so you can double-check your upload speeds, download speeds, and ping, with data relayed to you via a cool-looking speedometer. Few things sting more than a nice American data overage. In that spirit, Onavo (Android, iOS) works to preserve your precious data allotment. Tell the app how much you’ve got to work with each month, and it’ll compress various image files while you’re connected to your mobile network with smart tricks such as not loading images in your web browser unless you scroll down to the point that they’re in view. If you’re not ready to tackle complicated prototyping and wireframing software, POP (Android, iOS) might be right up your alley. Short for Prototyping on Paper, you sketch your idea out on paper, snap a photo of it, and then trace around the elements on your phone to quickly create a digitized version of your design that you can manipulate as though it’s a live interface. Photoshop may be powerful, but it’s also expensive. Paint.net (Windows) is free and features a lot of the same functionality, including a clean, straightforward interface and built-in effects along with the ability to use layers. There’s a vibrant user community as well, which offers up helpful tutorials and plugins to extend the program’s functionality. Like it or not, your website is probably going to crash once in a while. Montastic (web) can keep an eye on your site around the clock, sending you an email if your site goes down, and sending another one once it’s back up. The free plan lets you monitor up to three URLs at a time, and checks in every 30 minutes, while inexpensive paid plans shorten the check-in time to five minutes. When it comes to keeping track of life’s many, many tasks, Any.do (Android, iOS, web) offers plenty of options without being overly complicated. You can even forward an email message to turn it into a task—the 21st-century equivalent of stuffing Post-It notes all over your desk. And all your notes, tasks, and to-dos synchronize with the web-based version of Any.do so you can access them from just about anywhere. TinyScan (Android, iOS) helps you digitize the mountain of paperwork, receipts, and takeout menus threatening to split your desk in half. This very simple but effective scanner app lets you capture images as PDFs that you can email to yourself or save to Dropbox, Evernote, Google Drive, Box, and other popular cloud storage services. You can save documents in black and white or color, and you can string several snaps into single documents if you’re working with multiple items that belong together. Simplenote (Android, iOS) focuses on letting you take quick notes without worrying too much about organization. All your notes are searchable and synch to other devices, with a built-in to-do list to help you stay on track if you need to get certain tasks done. If you’re not naturally super organized, this can be a good first step towards a slightly less messy lifestyle. Handle (Chrome, iOS) pulls your Gmail, Google Calendar, and to-do list together into one handy dashboard. It turns your email messages into actionable items and serves them up in the middle column of a distraction-free interface, flanked on either side by your projects and your calendar. The iOS app lets you add new tasks via Siri as well. Finally, a way to experience the white-knuckled thrill of a . . . well, it’s still whiteboarding. Even if you’re not in the same room as your colleagues, you can share a real-time virtual whiteboard with SyncSpace (Android, iOS). Add text and doodles as a group, and when you’ve finally gotten all your ideas down, your whiteboard can be emailed around as a set of images or even edited later if you need to make some changes. Go with Weebly (Android, iOS, web). The freebie account sports a slick drag-and-drop interface with plenty of starter templates, free hosting, and the ability to sell up to five e-commerce products (Weebly takes a 3% cut of each sale). The mobile apps make updating your site with new content and sharing it on social networks a breeze as well. You can even build your site entirely from your phone if you’re feeling adventurous. Weebly is a good option for people who know they need some sort of web presence but don’t want to put too much time and effort into dealing with one. Breather (Android, iOS) helps you forgo the expense of a fixed office, offering up “spaces” that can be rented out around the city for a half hour at a time. Meet with a client, respond to email while you’ve got some time between appointments, or just get off your feet for a bit. Spaces can be unlocked with your phone and sport Wi-Fi, power plugs, and charging docks. The service is currently available in New York, San Francisco, Boston, Montreal, and Ottawa, with additional cities on the way. You don’t have to read a stack of books or sit through grad school to make sure your marketing’s on point. Primer (Android, iOS) is a handy Google-built app that dishes up easily digestible lessons and tips that you can peruse whenever you have a few minutes to spare. Topics include advertising, content, design, marketing, and more. Use Slice (Android, iOS) to track your packages from big-name retailers Amazon, Best Buy, Nordstrom, Walmart, and several others. The app automatically plucks your purchase info from your email account and serves up a trackable map of your item as it makes its way to your house. Best of all, after you’ve bought something, Slice will alert you to price drops that fall within the retailer’s adjustment window, making it easy to save on stuff after the fact. If you need to make sure your legal bases are covered, use Shake (Android, iOS). This app helps you whip up contracts that you and another party can sign on the spot. There are preselectable templates available that you can customize to your liking. Contracts can be signed and then sent electronically for signatures as well. Load up Zoho Invoice and Time Tracker (Android, iOS, web, Windows Phone). Easy-to-create invoices get top billing here, but Zoho adds some nice extras like time- and expense-tracking, recurring bills, and connections with online payment processors. The mobile app handles just about everything that the web-based version does, with a straightforward layout and similarly robust feature set. You can bill up to five clients using the free version. When tax season draws near, get an idea of how much moola you’re getting back or—gulp—how much you’re going to owe. TaxCaster (Android, iOS), from popular tax preparation provider TurboTax, asks you for some basic info and then estimates the final tally. Just enter your filing status, your income, and any tax breaks you’re expecting, and watch the dial at the top of the app (hopefully) move from red to green to indicate that a refund is headed your way. The easy-to-use Mint (Android, iOS) app helps you corral all your financial accounts—banking, credit cards, loans, and more—to present you with a nice overview of how much money you have. As far as taxes go, the app does a good job of breaking all your purchases down by category so that you can find various deductions without combing through statement after statement from each of your financial institutions. Business mileage can be a big write-off, so a good tracker like MileIQ (Android, iOS) is a must. The app can auto-log miles for you by using your phone’s GPS, or you can manually add entries for past trips. It’ll show you how much of a deduction you’ll get—rates are currently 57.5 cents per mile—and entries are stored in IRS-friendly formats. The app lets you log 40 drives for free every month; monthly fees start at $6 thereafter. Try Centro Business Planning Tool (Android, iOS) if you’re looking for some guidance when cobbling together a new business plan. The app steps you through a series of questions that cover finances, operations, your value proposition, target markets and more. The app is structured as a string of activities; once you complete them all, you’ll have yourself a nice little business plan to work with. Pepper sprays and self-defense know-how are useful tools in protecting against violent attacks. But in the view of startup Roar, women shouldn’t be made to change their lifestyles in order to feel safe. 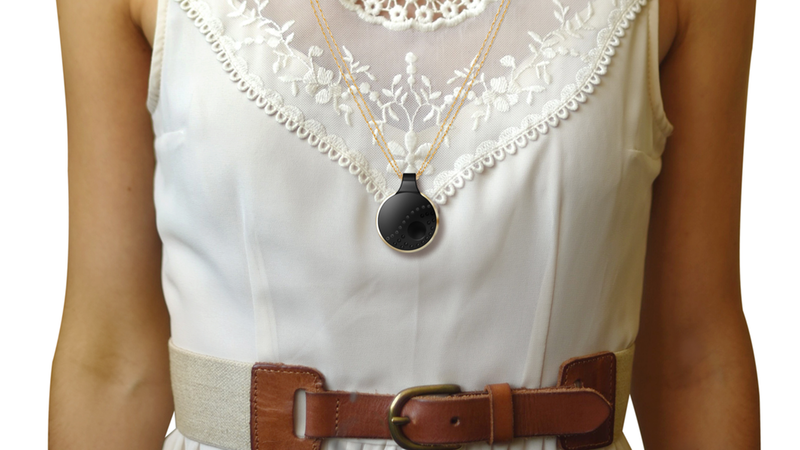 It has developed a discreet device that can be worn as a piece of jewelry and alert loved ones to their whereabouts when trouble arises. Athena is described as smart safety jewelry and is designed to worn around the neck, attached to the waist or carried inside a bag. The small circular magnetic clip is equipped with Bluetooth and an activation button, which when pressed sends a distress signal to selected emergency contacts through the user’s phone and notifies them of their location. To help avoid false alarms, Athena’s button is recessed and must be held down for three seconds to activate the signal. While this will importantly allow the user’s contacts to take action it is invariably going to be some time before help arrives. So Athena is also fitted with an alarm mode, which produces an 85 decibel noise intended to immediately spook an attacker and prevent things going from bad to worse. Conscious that this won’t be the best approach to every scenario, Roar is also building a silent mode into Athena, which allows for the the distress signal to be sent out without triggering the alarm. The company also says it is working on a function that makes an automated 911 call to notify emergency services once the button is pressed. Athena joins a number of other devices intended to offer discreet calls for help when facing a violent attack. Last year we saw a successful crowdfunding campaign for a hair clip that senses impact to the head and notifies emergency contacts. Revolar, a small personal safety device that sends a distress signal when squeezed, also met its funding goal earlier this year. Like those mentioned above, Athen is the subject of a crowdfunding campaign and seems to be attracting a healthy amount of interest. At the time of writing, it has raised more than US$26,000 of its $40,000 goal on Indiegogo. Early pledges of $75 will have an Athena clip headed your way in May 2016 if everything goes to plan.